Diana Cavendish seemingly teased as playable. 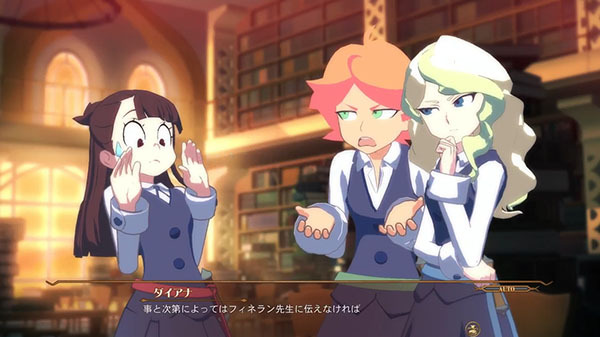 Bandai Namco has released a new trailer for Little Witch Academia: Chamber of Time. The trailer introduces various locations within Luna Nova Magical Academy, how events occur at the same time in different places, obtaining information and items, and taking on dungeons with a three-person party. The video then rewinds (a nod to the game’s one-day loop system) and replays the same day, this time featuring Diana Cavendish, who has yet to be confirmed playable. She appears to be teased as such, however, as she is shown in the situation room with the other six playable characters.